As the calendar turns to July, Nebraska football fans can start to see the 2015 season take shape. So as they wonder what the first season under new head coach Mike Riley will be like, it’s a good time to look at the schedule game-by-game and figure out which contests look to be the toughest. Sure, there’s a long time between now and when a football is kicked in anger this September. But given what we know now, here’s how Nebraska’s schedule looks in terms of its degree of difficulty from game to game. Yes, you read that right. The Golden Eagles, not a South Alabama program which was born in 2009 and transitioned to the FBS in 2013, are Nebraska’s softest opponent this season. After spending years as a solid program, Southern Miss fell on hard times, going 4-32 (!) since 2012. While the Golden Eagles have improved from last year (1-11 in 2013, 3-9 in 2014), there’s still a long way between here and respectability for Southern Miss. Cashing a check for a visit to Lincoln this season may help in the long run, but it won’t make what gets put out on the field in 2015 any prettier. Sure, the Jaguars are only in their sixth season of existence overall, and second in the FBS. But South Alabama went 6-6 last season and made a bowl game. And this year’s squad has eleven transfers, including seven from UAB after the school dropped football (and then un-dropped football six months later, in what might be the weirdest college athletics story of the season). But that influx of FBS talent should help to improve an already-feisty Jaguar program. Couple that influx with South Alabama being a quintessential trap game, nestled between BYU and Miami on Nebraska’s schedule, and the Jaguars are at least enough of a challenge to avoid being tabbed as NU’s easiest contest of 2015. I’ll save you the jokes about fearing a trip to West Lafayette on Halloween. While the first half of 2014 signaled at least some signs of life from the Boilermakers, injuries mounted and the second half of the season was a disaster. Purdue scored in the 30s in respectable losses to Michigan State and Minnesota, then limped through its last four games without topping 16 on the scoreboard. Absent a dramatic turnaround—without the recruiting evidence to suggest such a feat given Purdue’s 5-year recruiting rank of 61, according to SB Nation—the Boilermakers look to be Nebraska’s softest conference opponent next season. It was very tempting to put Illinois, not Purdue, in the bottom spot in terms of Nebraska’s conference opponents. The Illini haven’t been very good for a while now, needing a late-season surge to make a bowl last season. And head coach Tim Beckman has been dogged by stories (such as from Tom Fornelli of CBS Sports) that he has mistreated players under his care. That’s not good for any coach. But for a coach in his fourth season with a 12-25 record, it sets up a dead-man-walking scenario for Beckman that can be a huge distraction. Still, the Illini have a talented backfield with Wes Lunt at quarterback and Josh Ferguson at tailback. That alone is enough to move Illinois up the list, at least a little bit. Yep, Nebraska’s going to New Jersey for a conference game. Conference realignment, ladies and gentlemen. Last year, the Scarlet Knights looked salty, going 5-1 with a win over Michigan and Washington State. But then Rutgers hit a murderer’s row of a three-game portion of its schedule, losing to Ohio State, Nebraska, and Wisconsin by a combined 135-41. Still, Rutgers has some talent, evidenced by a no. 48 5-year talent ranking from SB Nation. Combine that with a long trip to an unfamiliar destination and coming off a slugfest against Michigan State the week before, and Rutgers becomes a little more challenging. October 5, 2013, wasn’t that long ago. Northwestern was no. 16 in the country, and ESPN’s College Gameday was in Evanston to see the Purples face off against no. 4 Ohio State. It was Northwestern’s chance to really seize the moment and stake a claim as Chicago’s Big Ten Team and a player in the conference. Ohio State won the game, 40-30. Since then, Northwestern has gone 6-13. Prior to last year, Northwestern had a history of giving Nebraska fits, beating them in 2011 and losing heartbreakers in 2012 and 2013. But last year, Nebraska comfortably beat the Purples in Evanston, 38-17. Look for that trend to continue when Northwestern arrives in Lincoln this year. Fans of both schools were left scratching their heads after Nebraska beat Iowa in double overtime last year, and it was the scarlet and cream that fired its head coach. After 13 (!) seasons in charge in Iowa City, the seat under Kirk Ferentz might finally be starting to warm a little after a lackluster 2014 campaign. Iowa will be turning the reins over to sophomore quarterback C.J. Beathard, and trying to shore up an offensive line after the departure of both tackles, including Brandon Sherff. Running behind that line will be two-star running backs (according to 247 Sports) Jordan Canzeri and Akrum Wadley. Unless Iowa can put together a surprise campaign like 2013, it’s likely that the Hawkeyes will come to Lincoln with a great deal more pressure on Ferentz. That does not bode well for a team to repeat its defeat of Nebraska at Memorial Stadium. Say this for the Golden Gophers under head coach Jerry Kill. They know who they are, they know what they’re good at, and they stick with it. For two years in a row, Minnesota has translated a bruising ground game and a stifling defense into a two-game winning streak over Nebraska. But this year, Minnesota will be without tailback David Cobb and tight end Maxx Williams, both playing in the NFL. And Nebraska’s defense has transitioned from former head coach Bo Pelini’s stop-the-pass-first philosophy to new defensive coordinator Mark Banker’s nine-in-the-box quarters scheme. The Gophers will still be a tough out for any opponent. But a combination of Minnesota’s likely regression (particularly on offense) and a Nebraska defensive scheme that presents a better matchup makes this game more manageable for NU, even in Minneapolis. Welcome to Nebraska, Coach Riley. Here’s a darkhorse Heisman contender and a matchup nightmare for you to handle in your first game. Have fun. Cougars’ quarterback Taysom Hill is a beast running the ball. He averages 7.4 yards per carry if you eliminate sacks from consideration, according to SB Nation. And before his injury last year, Hill was completing passes at a 66.7 percent clip, with a 7/3 touchdown-to-interception ration (according to CFB Stats). That’s a big ask for a defense playing its first game under new defensive coordinator Mark Banker’s tutelage. And while BYU’s defense isn’t exactly a world-beater (no. 58 nationally in total defense and no. 73 in scoring defense, according to CFB Stats), drawing the Cougars as an opening act for Nebraska is a huge challenge. 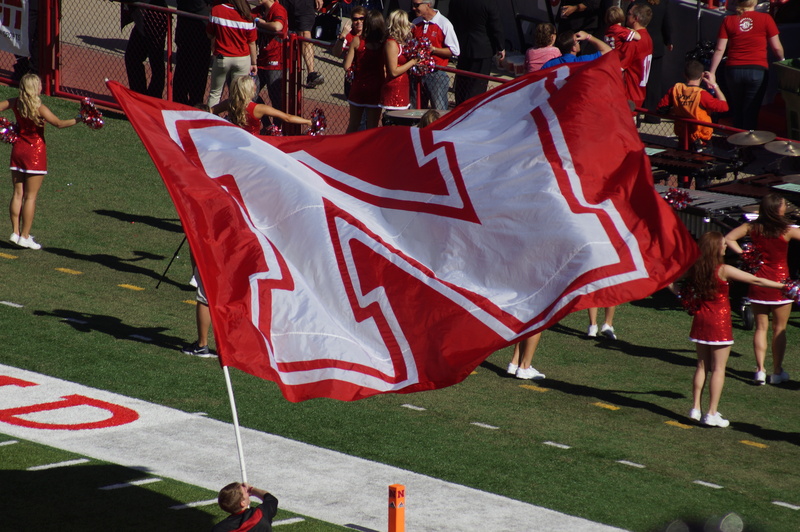 If Nebraska’s first home game is a big challenge in 2015, its first road game is a bigger one. Miami is an immensely talented program (no. 17 nationally in the CFBMatrix talent ranking, the best of any Nebraska opponent this year). At quarterback for the Hurricanes will be sophomore Brad Kaaya, who gave Nebraska fits last year as a true freshman in Lincoln. Yes, Miami might be under-coached. Al Golden has a -1.00 coach effect from the CFBMatrix, meaning he can be expected to cost his team a full game (!) per season. But Miami is still the most talented team Nebraska will be facing in 2015, and as the first road game of Riley’s tenure. There’s no sugar-coating this fact for Nebraska fans. Wisconsin has owned Nebraska since NU arrived in the conference. Wisconsin has gone 3-1 against Nebraska in that span, outscoring NU 204-102. In the last two games, the Badgers have outscored Nebraska 129-55. There is room for optimism for Nebraska fans this time around against the Badgers, though. The game is in Lincoln, home of Nebraska’s only win in the series. Melvin Gordon will be in San Diego (at least this year) playing for the Chargers. Nebraska’s defensive scheme under new coordinator Mark Banker should be far better structured to stop Wisconsin’s power rushing attack. And Wisconsin, like Nebraska, will be adjusting to a new head coach. Still, Nebraska fans can be forgiven for waiting to see NU succeed against the Badgers before they believe it. The Spartans are still the class of Nebraska’s 2015 schedule, even after NU nearly pulled off an improbably comeback in East Lansing last season. Although tailback Jeremy Langford is gone, returning is quarterback Connor Cook to guide the surprisingly-lively Spartan offense. And under head coach Mark D’Antonio, the Spartans defense has been its calling card (no. 1 in rushing defense and no. 8 in total defense last year, according to CFB Stats). With an experienced quarterback and a top-flight defense coming to Lincoln, Michigan State looks to pose Nebraska’s toughest challenge in 2015.